Diabetes is a disease wherein levels of blood glucose are too high because the body produces little to no insulin. It can also develop resistance to this hormone, depending on the type. The lifelong condition can have severe consequences, and it affects millions of people (and cats) around the globe. Considering the fact feline health is crucial, it’s important to get informed about diabetes in cats. Scroll down to find out the causes of feline diabetes and what you can do to help your furry friend. How Common is Diabetes in Cats? How is Diabetes in Cats Diagnosed? Feline diabetes is the same as diabetes mellitus in humans. It is the inability to produce sufficient amounts of insulin to regulate blood glucose levels . Diabetes is one of the most frequent endocrine disorders in cats, although the exact prevalence is still unknown (see below). Most cats with diabetes resemble type 2 diabetes people, but the underlying causes of the disease may differ. Just like humans, cats also need blood glucose for energy that helps them function properly. Glucose can’t enter cells in the body without insulin . If left untreated, diabetes can cause various symptoms and put the cat’s health into danger. 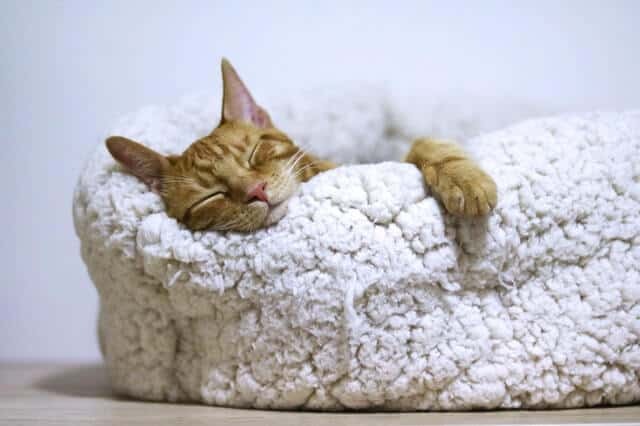 Although diabetes is considered one of the most common endocrine problems in cats, the true prevalence of the condition is unclear at this point. Many studies show different results. According to a study from the Journal of Feline Medicine and Surgery diabetes affects one in 230 cats. Burmese cats were more likely to develop diabetes compared to non-pedigree felines . 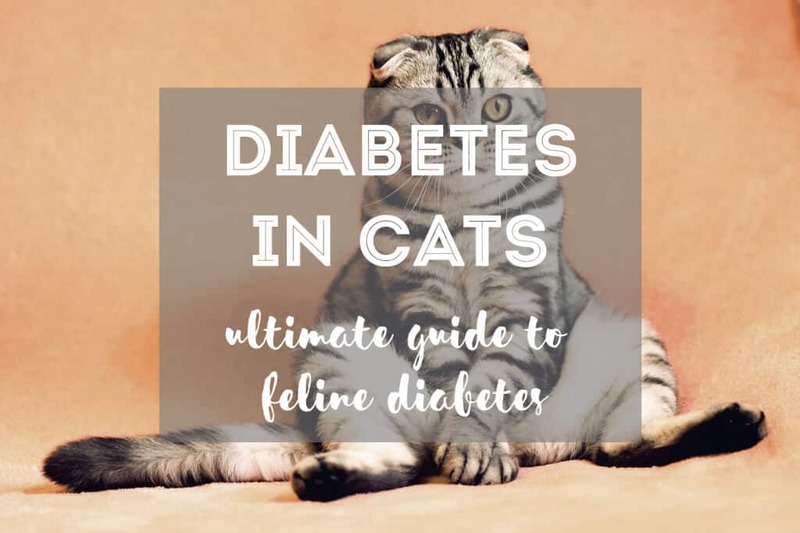 Research from the Journal of Veterinary Internal Medicine reveals about 1128 cases of diabetes have been identified in a sample that included 194,563 cats. This study also confirmed that Burmese, along with Tonkinese and Norwegian Forest cats, were more susceptible to diabetes compared to crossbred counterparts . Diabetes is less common in cats than it is in dogs. Most felines have a form of type 2 diabetes. Although some figures show that between 0.2% and 1% of general cat population has diabetes, the condition is widely underdiagnosed. In other words, more cats have diabetes than we realize. Now that you know what the condition is, you’re probably wondering what causes diabetes in cats. In truth, it isn’t that different from causes of this disease in humans. Diabetes in cats occurs when the body doesn’t produce sufficient amount of insulin to regulate blood glucose concentration. The exact cause behind diabetes in felines is unknown, but various factors play a role. In a nutshell, cats can develop diabetes due to physiological, environmental, and even genetic causes. Male cats are more susceptible to diabetes than females especially if they are neutered. Other risk factors include lack of physical activity, advancing age, and inadequate diet. Those are typically the first symptoms your diabetic cat may exhibit. 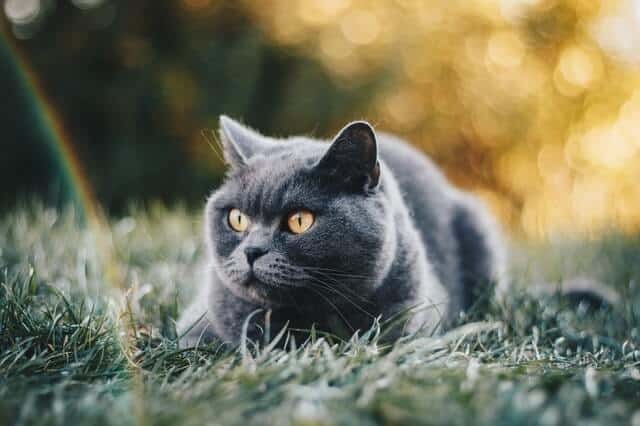 These symptoms can sometimes go unnoticed, which is why it’s always important to keep an eye on your cat and its behavior or appearance. An affected cat may also develop infections that are not resolved with antibiotic treatment. Parallel to the progression of diabetes, your cat may become weaker and start walking with bent hind legs. Diabetic cats tend to develop cataracts. If left untreated, diabetes in cats can induce various complications including ketoacidosis. Ketoacidosis is a potentially fatal condition indicated by electrolyte disturbances, vomiting, diarrhea, extreme dehydration, and respiratory problems. Symptoms of diabetes in cats are similar to those of other health problems in cats. Meaning, it’s crucial to take your pet to the vet as soon as you notice some changes. Make sure you inform the vet about all the symptoms your cat has. The vet will carry out a physical exam. Based on the symptoms you describe, they’ll suspect diabetes is the problem. But some tests may be administered to rule out other conditions. Diagnosis of diabetes involves testing glucose levels in the urine and blood. However, this test is not always the most reliable because cats that are under a lot of stress can have high glucose levels too. To avoid this pitfall, some veterinarians measure the levels of a molecule called fructosamine in the cat’s blood. In cats with diabetes fructosamine concentration is elevated, but unlike blood glucose, it’s not affected by stress. The primary goal of treatment of feline diabetes is to establish glycemic control, i.e., regulate blood glucose levels. At the same time, diabetes treatment strives to minimize or eliminate signs of weight loss in cats, manage increased urination and thirst, but also to normalize appetite. Adherence to the vet-recommended treatment for diabetes prevents inducing low blood glucose levels which could occur due to inadequate care. The most common treatment method of diabetes in felines is insulin therapy. Insulin for cats usually comes in the injectable form. Insulin is vital for the regulation of blood glucose. While injecting insulin may seem complicated most owners learn it after regular practice and effort. Different types of insulin injections are available, and each of them works for a different duration and exhibits different effects. Don’t worry, and the vet recommends the specific type of insulin for cats, i.e., the form that is most suitable for his or her condition. To determine the type of insulin the cat needs, the vet performs a 12-24 hour glucose curve. During this time insulin is administered intermittently. Then, the vet will measure blood glucose levels. The form that has the best impact on blood glucose is recommended for your cat. Besides insulin injection, management of diabetes also requires dietary management. The vet may recommend restricting carbs from your cat’s diet to improve blood glucose control. Cats that lose weight due to diabetes may need to eat multiple times during the day. But if the feline is overweight, you may want to consult the vet about the best weight management protocol. Nowadays pet owners can buy diabetic cat food for their pet, and this food is specially made to improve blood glucose control. What pet owners need to keep in mind is that diet is crucial for effective management of diabetes. 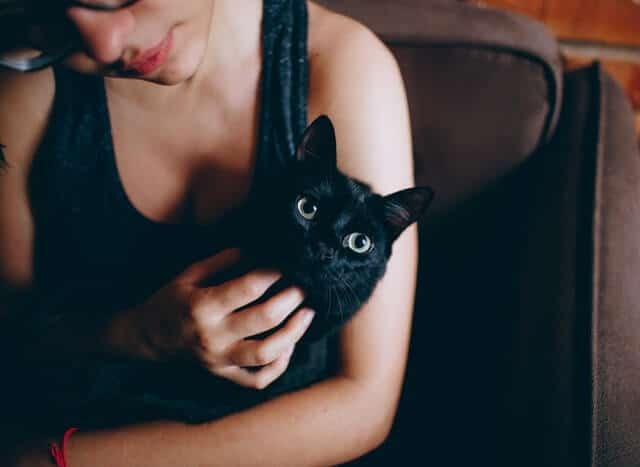 Even with regular insulin injections, it would be tricky to manage blood glucose and keep the cat as healthy as possible if the diet remains unchanged. Avoiding giving too much dry food to your cat. Why? Dry food is very high in carbs. Carbohydrates can cause a dramatic increase in blood sugar levels. Don’t wait for the checkup at the vet’s office to find out whether blood glucose levels lowered or increased even more. You can measure and track cat’s blood sugar levels with regular glucometers found in drugstores. Glucometers are affordable and incredibly easy to use. That way you’ll know whether blood sugar levels are high, average, or low in your cat every day. This can help you modify diet and other treatment measures. While this may seem like such an odd way to manage diabetes in cats, it’s nonetheless essential. Untreated dental problems, particularly tooth abscess, can complicate your efforts and make it difficult to manage diabetes. Effective management of this condition requires good dental hygiene and healthy teeth in your cat, so make sure you pay attention to that as well. Diabetic cats experience an increase in thirst and urination due to excess glucose. The body needs to eliminate the excess glucose via urine. That means your cat “visits” his or her littler box quite frequently, but because glucose is sugar, it attracts bacteria. As a result, it can cause infections that your cat will struggle to recover from. Diabetes in cats is more prevalent than we think due to under-diagnosis. Causes and the nature of the disease itself are similar as they are in humans. Your cat can develop diabetes due to biological, genetic, and environmental reasons. While it’s unlikely to cure diabetes entirely, it’s possible to manage it successfully with insulin injections, diet adjustments, and other vital measures. Remember to feed your fluffy kitty with a high-quality diet. That way, you’ll significantly reduce the risk of your cat getting diabetes. 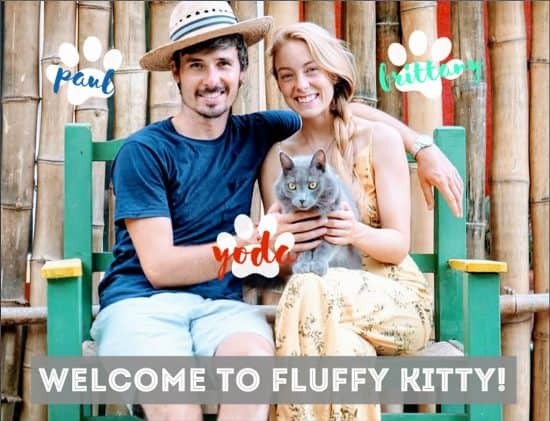 Previous Post Top 10 Cat Breeds of 2019: What’s the Best Cat Breed for Me?